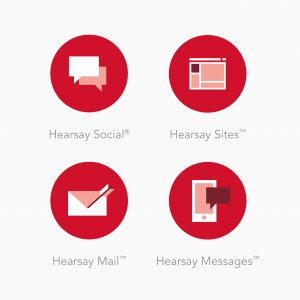 Given that 90 percent of text messages are opened within three minutes of delivery, the new Hearsay Messages solution adds a powerful channel to the Hearsay’s social enterprise platform. Hearsay Social (San Francisco) has launched the Predictive Omnichannel Suite for financial advisors and insurance agents. The new offering add the new Hearsay Messages solution to the Hearsay Social enterprise platform, providing agents and advisors with what the vendor calls an integrated multi-channel dashboard spanning across social media, advisor websites, personalized email and text messaging. Clara Shih, CEO, Hearsay Social. Created specifically for financial services, the Predictive Omnichannel Suite is designed to help advisors and agents to build and deepen one-to-one relationships with customers and prospects, increase productivity, and ultimately grow their business, while remaining compliant with company policy and financial services regulations. 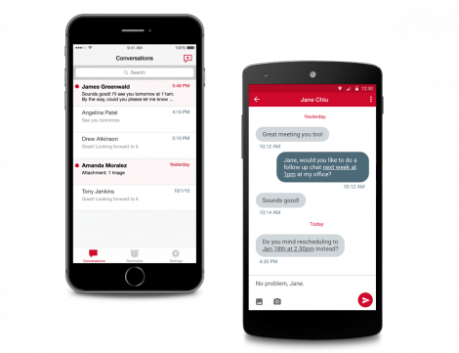 Given that 90 percent of text messages are opened within three minutes of delivery, Hearsay Messages adds a powerful channel to the Suite, the vendor says. 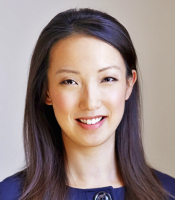 “Today’s firms and advisors must adapt to serving an increasingly omnichannel customer while addressing the productivity pressure from robo-advice options, direct-to-consumer sites and regulatory change,” comments Clara Shih, CEO, Hearsay Social. The Hearsay Suite gives compliance teams will have a single, unified view of advisor activity across social media, advisor websites (Hearsay Sites), email (Hearsay Mail) and text messaging (Hearsay Messages) to make it easier and more efficient to enforce compliance policies, according to the vendor. A Universal Supervision dashboard provides a streamlined workflow for supervisors to monitor and review advisor activity across all four channels. For corporate marketing teams, the omnichannel offering provides potentially valuable, 360-degree insights into what channels are most used by their advisors, as well as what content performs the best with customers and prospects, the vendor reports. Easy-to-use app accelerates advisor productivity: Using the Hearsay Messages app (for iPhone and Android), advisors will be able to easily engage with customers and prospects for business purposes using their current mobile device. Advisors will be able to send and receive one-to-one texts through the app, set up appointments, and send meeting reminders. Integrated compliance and supervision puts corporate at ease: The Hearsay Messages app will provide highly configurable compliance functionality for advisor business texting. Firms will be able to control outbound messages by the type of content, such as URLs, photos or lexicon-based text alerts, while flagging risks and preventing potentially inappropriate communication between advisors and customers. One-to-one line between corporate and advisors provides additional oversight: Through the Hearsay Messages app, corporate offices will have a new, efficient way to communicate with advisors when they need to send a time-sensitive message. Compliance teams will be able to supervise field communications and notify advisors of policy infractions via a quick, timely text.